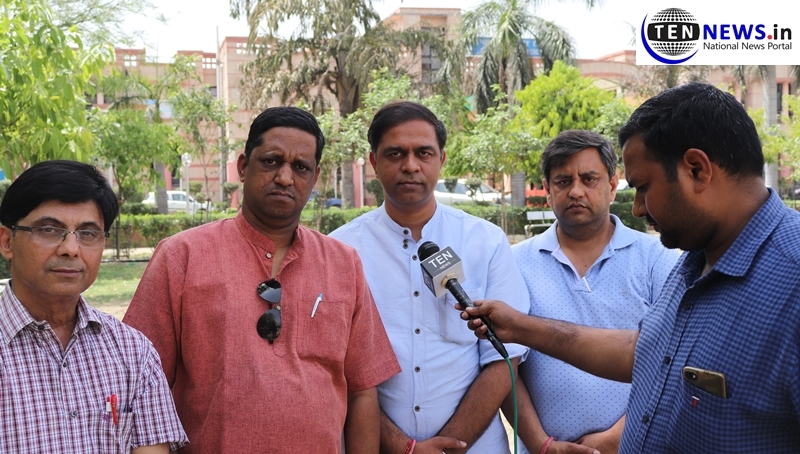 Noida, (14/4/2019): The school fee hike problem has now become a serious issue for the parents paying the fees. Parent accuse school administration that they have increased the fees unreasonably and are threatening the children when parents opposed the decision. While on the other hand, the school administration says that they have increased the fees according to the UP Fee regulatory Act. All Noida School Parents Association, (ANSPA), has decided to protest in large numbers in Noida Stadium on 21st April. Ten News team talked to some of the members of ANSPA, Yatendra Kasana, President of ANSPA, Vikas Bansal, Vice President ANSPA and K. Arunachalam, General Secretary of ANSPA. According to the members, “schools have been doing whatever they want with the fee structure. And when parents complaint they threaten them and send them back. No action have been taken since long even by the district administration of Noida. The DFRC which is headed by the DM itself cannot even have done anything till now to resolve this problem of over 5 lakhs parents in Noida”. “Now the ANSPA has decided to protest against the dictatorship of the schools and stop their illegal fee hike. The protest will have around 1000 parents from around the city and will march towards DM office situated in sector 27 in Noida. We will demand from the District Magistrate as he is the head of all these operations, to order school to take back the hiked fees and if they want to increase, it should be properly according to the Fee Regulation Act, to which 2015-16 form the basis for implementing rules and norms”. According to the UP Fee Regulation Act 2018, the schools would not be allowed to increase the fees or change the uniform for 5 years and the fees charged by private schools in 2015-2016 would form the basis for implementing the regulations. Schools can’t raise fees arbitrarily and they will have to consult a regulatory committee headed by a divisional commissioner with representatives of parents and school managements to raise any fee. Further, they can’t hike fees more than 7 to 8%. Schools will also have to upload the fees on their website 60 days before implementing it.